@upstairs.sg is on Carousell - Follow to stay updated! Getting up and down the stairs at home becoming a problem? Thinking about installing a stairlift to assist yourself or family member to move between levels? 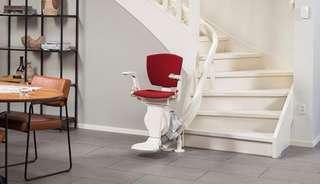 Stairlift is commonly referred to as a chairlift or stair chair is a safe and reliable solution for anyone having difficulty managing stairs.